Online installment loans can quickly provide you with the funds you need to pay pressing utility bills, purchase a car, buy a vital medication, or pay for any other urgent expenses. In such situations, you will of course wish to obtain the funds as fast as possible. Although you could research brick-and-mortar stores in your area, verify their hours, drive to the location of your top lender, and apply for the loan in person, who has the time for all of that? Instead, check out online installment loans, which can easily be obtained with just a few clicks of the keyboard. When you request online installment loans at Advance Paycheck Online, we simply ask for proof of a steady income and a bank account. You can apply at any time of the day from the comfort of your own couch. Residents of Illinois, Utah and Wisconsin can enjoy traditional installment loans, which come with flexible payment options. They’re convenient. Online installment loans are tremendously convenient. In instants, you can research potential lenders, view loan terms and rates, and apply for a loan. As we’ll describe below, applying for a loan online is quick, comfortable, secure, and easy to do. When time is of the essence and you desperately need funds, the convenience of an installment loan is hard to beat. They’re speedy. You can complete an online application form in just minutes. You won’t need to drive or walk to the nearest lender, and you can input the necessary information yourself. 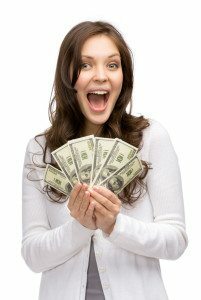 Plus, if you choose a lender offering instant installment loans like Advance Paycheck Online, you could be speedily approved and receive your requested funds instantaneously. They’re comfortable. You can apply whenever you like, wherever you like, and wearing whatever you prefer. Desperate to apply for a loan at midnight while you’re in bed watching reruns of your favorite TV show? No problem. Want to apply for a loan on your lunch break while eating a microwave meal in the employee lounge? Sure thing! All you need is access to the Internet. They’re paperless. You will not need to gather up a pile of papers before you apply, and the application itself will be completed online with neither pen nor paper. When you apply for an installment loan in person, on the other hand, you may need to provide bank statements, a check, or even references. In today’s modern world, a paperless procedure is usually appreciated for its convenience, its lack of clutter, and its eco-friendliness. They’re inexpensive. Without the expenses that come with owning (or renting) and operating physical offices, online lenders are able to offer lower rates and fees. In addition, many will offer fixed rates, so you won’t need to worry about interest rates fluctuating over the life of your loan. For the best deal possible, pay off your loan as quickly as you can. They’re secure. Reputable lending websites like that of Advanced Paycheck Online will protect the sensitive information you provide to complete your application process. Be sure that you are using an established and trustworthy website, however, or you could place yourself and your financial well-being at risk. So what are you waiting for? If you need an instant cash advance to fund an urgent purchase or pay off critical debt, there is no need to put on your shoes or jump in the car. Simply grab your laptop, complete a brief online form, and wait for the lender to review your application. If all goes well, the funds will be sent to your bank account immediately upon approval. When you’re ready to get started, check out Advance Paycheck Online, a direct lender dedicated to providing quick and convenient loans online. We offer online installment loans to the residents of three states—Illinois, Utah and Wisconsin—and we seek to offer the ideal online experience by combining a straightforward interface, excellent customer service, and the speedy delivery of borrowers’ funds. If you have any questions or concerns about online installment loans, please give us a call at 1-815-436-4242. Then, to apply for a loan, visit our website and fill out the application form. We look forward to hearing from you!